The "Merc with a Mouth" gets his X-Men suit, and it looks gooooood. If you're a casual fan of Deadpool you are probably thinking where is the red and black suit? Deadpool has worn a few outfits over his time with Marvel comics, and the blue and yellow spandex sure does fit snug. I would say this color scheme probably isn't for everyone, but I really think it stands out and looks great on him! 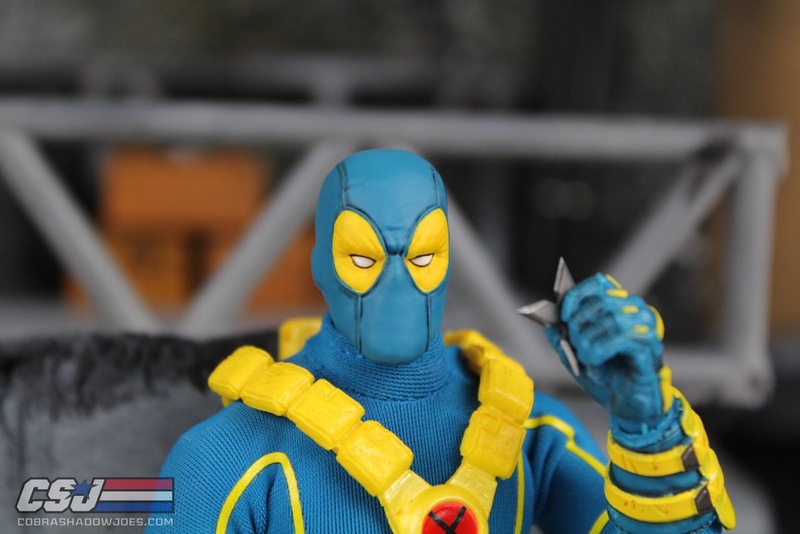 Let's take a closer look at the SDCC 2017 Mezco Exclusive Deadpool!